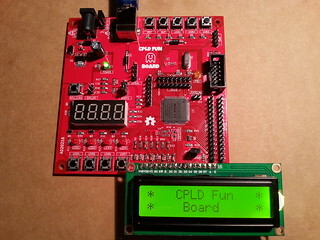 I've designed a board to start using CPLD devices. It also has an on-board STM23F103 Arduino that can be used as "stimulus generator" for the CPLD. The guide is for absolute beginners without any HDL languages (VHDL, Verilog,...) knowledge.